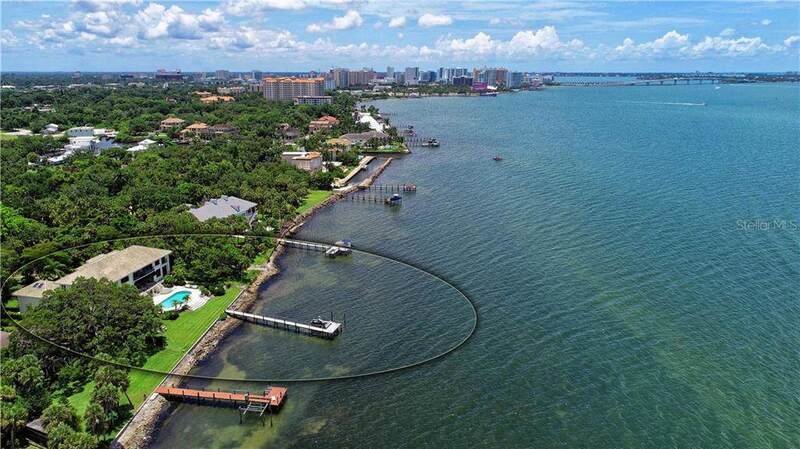 This gated waterfront estate is situated on an acre of gardens, ancient oaks and walkways directly on Sarasota Bay. Discover a rare combination of tranquility and location within the desirable Museum District. The home itself is architecturally timeless and fully restoredto showcase the Bay or Gardens from every window, deck or patio. 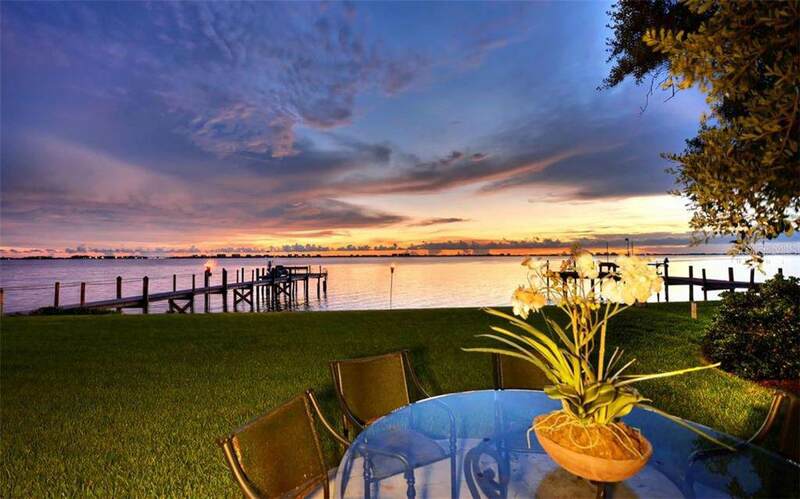 With 180 degree of Bay views, sunsets are visible year-round. Cathedral ceilings, limestone and marble inlaid floors and a grand staircase set a glamorous first impression. Host cocktail hour in the living room or on the adjacent sprawling deck with a retractable awning or make holidays memorable in the formal dining room. The estate transitions into pure comfort as you enter the open kitchen equipped with marble countertops, KitchenAid appliances, wet bar and an informal dining area. Enter the media room just off the kitchen and you will feel as if you are suspended amidst the oaks. Two master suites make luxury paramount, both complete with indoor and outdoor seating areas, walk-in showers and garden tubs. Live every day like a vacation by enjoying the brand-new pool. Add tiki torches, a fire pit or a pontoon boat to the mix for unforgettable parties. A 90-foot pier provides limitless possibilities for water activities, a simple day of fishing or a celebratory night watching the downtown fireworks. The front gardens beckon high tea, weddings or a Tuscan table. 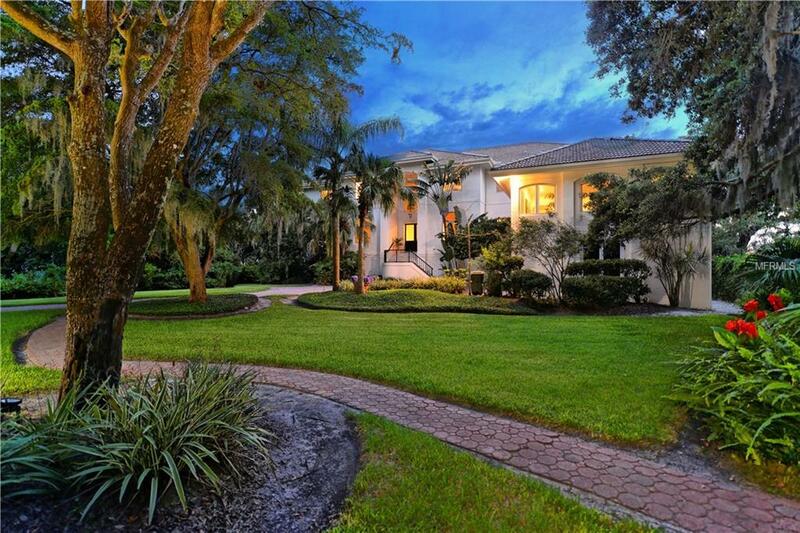 This magnificent estate is located five minutes from Downtown, the Airport and the Ringling Museum.